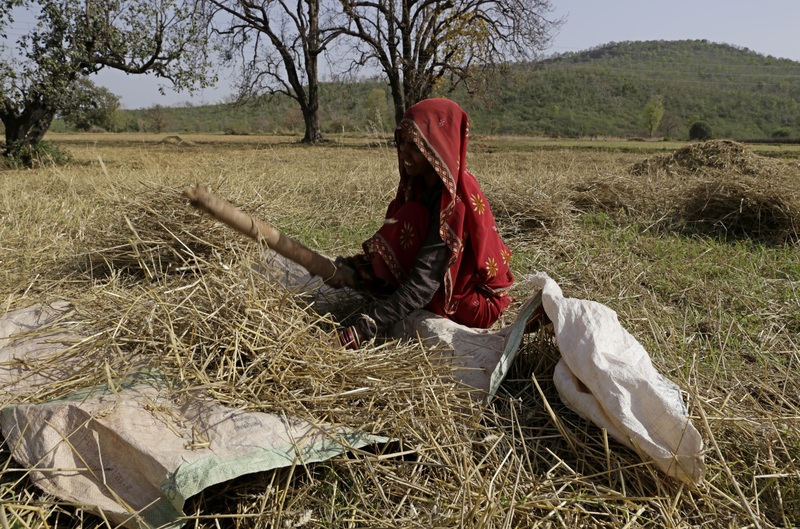 Continuing with the trend witnessed over the past three years, ready-to-harvest Rabi crops got damaged due to unseasonal rainfall coupled with strong winds and hailstorm in eight states across north and central India in the last two days. Weather experts attributed the cause of rainfall at this time of the year to mainly the western disturbance. Reports from Punjab, Haryana, Uttar Pradesh and Maharashtra confirmed that thousands of acres of standing crops (mainly wheat and mustard) had been destroyed. Remote areas in Uttarakhand, Jammu & Kashmir, Himachal Pradesh and Madhya Pradesh also witnessed hailstorm which caused extensive damage to horticultural crops. Besides wheat and mustard, pulses, linseed, barley and oat have been damaged. According to reports, the most affected areas are the Vidarbha and Marathawada areas of Maharashtra, western Uttar Pradesh, eastern Rajasthan, Punjab and Haryana. 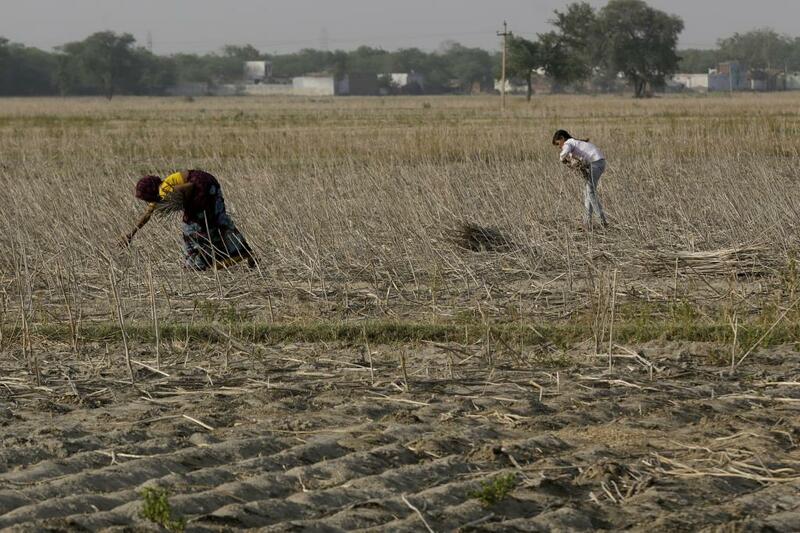 Primary estimate says crop loss has been around 10-15 per cent till now. This season Rabi crops were at the mercy of high temperatures than what is normal during the winter season. This affected the productivity as well as maturity of the wheat crop to a great extent. It is the seventh consecutive agrarian crisis in rural India. The year 2013 started with crops being damaged due to unseasonal rainfall in the Rabi season followed by the destruction of Kharif crops due to extreme weather events. The next two years witnessed unseasonal rainfall and drought across the country. In 2015-16, more than 10 states declared drought in view of a deficit monsoon. Delhi-based non-profit Centre for Science and Environment (CSE) came out with a report last year which showed how freak weather events have become a normal phenomenon causing huge loss to India’s agrarian economy. Last week, the India Meteorological Department in Pune had issued a notice warning farmers about freak weather events in northern states. However, experts feel the timing was not appropriate, and on top of that, the information was not disseminated properly. "Majority of the farmers don't have access to advance weather forecasting and weather based agro-advisories. Further, the weather forecasting and agro-advisories issued to farmers should be very specific to their areas and should be in a form which can be understood and acted upon appropriately. Farmers could not get weather forecasting well in advance and failed to protect their crops." Vineet Kumar, an expert working with the climate change department at CSE, said." This year’s damage showed that the government had not learnt any lesson from past experiences as there was no mechanism to help the farmers in distress, he added. Last year, unseasonal rainfall in western Uttar Pradesh broke 100 years’ record. Experts said the crop insurance scheme would not help farmers as it was decided to implement it from the upcoming Kharif season. "Existing relief and compensation system for farmers in the country is in a pathetic state. Current relief system for farmers against their crop damage follows an archaic way to estimate crop loss, which is highly inaccurate and give lot of scope for corruption at patwari level. Provisions made under Pradhan Mantri Fasam Bima Yojna for innovative technology usage for accurate crop damage assessment like geo-tagged field digital photographs, satellites based remote sensing etc should be immediately used for relief purpose also. Relief amount currently provided to farmers is not sufficient to even cover their cultivation cost. Lots of farmers, whose crops were damaged by unseasonal rain and hailstorms last year during March, 2015 are still waiting for any relief." Kumar said. India’s wheat output is expected to fall for a second consecutive year after 2015-16. Last year, unseasonal rainfall and hailstorm caused widespread damage to the wheat crop. This season farmers planted less wheat in view of the poor monsoon and past experiences of crop damage due to freak weather events. There was a shortfall of around five per cent of wheat acreage area this Rabi season. According to an estimate, low acreage area and adverse weather conditions in major growing areas such as Uttar Pradesh, Madhya Pradesh and Punjab are likely to reduce India’s wheat output to around 80 million tonnes from 89 million tonnes in 2014-15. India’s domestic demand is estimated at 93.5 million tonnes. “The likely short production (of wheat) may push the price to another level” P S Brithal, an agriculture economist at National Institute of Agricultural Economics and Policy Research, said. Will India’s wheat imports lead to global food crisis?